Werewolf wrote: And what exactly is so special about the M777 compared with the kings in artillery? Well for start main reason why its so popular...weight. Its extremly light, then unlike current Ru artillery systems its fully digitalised + naturally has all manual controls and devices as backup. Has an actual balistic computer integrated too. Considering fact its Western product its not even extremly expencive. Well it's actually only a tad bit lighter (80-150kg depending on the sources) than the 2A61, and not quite as compact in dimensions; but the difference seems to be that the 2A61 achieved its weight by using a shorter barrel and other compromises, whereas the M777 used lighter materials and without compromising on anything. As a result the 2A61 has a considerably shorter max. range than the M777. It also has a huge dead-zone; 4km - no good for mountain warfare. Also, there were also some other doubts about its design choices. It requires a larger crew. Many things it just copied from the D-30, a capable but old system by now. It might not be good for transporting on mountain roads; they made it pretty narrow when limbered up, which will give it a high centre of gravity. At the end of the day the 2A61 stayed as a prototype throughout the late 80s, 90s and 2000s, while the M777 entered wide service in multiple countries, and was imported by the US extensively. It says something. 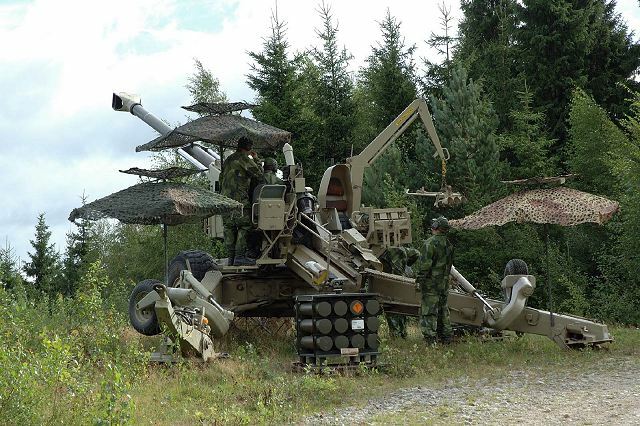 I'm sure its possible to modernize the 2A61 with GLONASS guidance, digital systems and the latest ammo to increase its range, but if the base model is considerably inferior in key parameters to a current-gen NATO model, or doesn't fully satisfy modern-day requirements (it was never intended as a mountain howitzer as such) - then what's the point? Better get busy developing the next generation instead, or license-build the foreign analogue. btw which is the main towed-gun of Russian Army?? George1 wrote: btw which is the main towed-gun of Russian Army?? Most numerous is D30 howtizer, then comes MSTA-B, then Giatsint-B. I did not count Rapiras here, as they are specific platform, but their numbers would fit somewhere between D30s and MSTAs i assume. As MAIN i guess MSTA-B would be representative. Rapira would be AT gun in its primary role, however 100m is today nowhere near being powerful enough to fight tanks so they are today mostly used as casual fire support artillery. In the archive section are also cited the M-30, M-46 and 2A45B SprutB (is the towed versión of the self propelled 2S25). 2B16 Nona-K is the most modern to assume? George1 wrote: 2B16 Nona-K is the most modern to assume? Depends how you look at it but MSTA-B aka 2A65 should be considered newer. Nona-Ks tho were obtained in some numbers at about same time but heavily based on previous designs. From the list 2B16 Nona-K and 2A65B Msta-B are both from the mid 80s. They would be the most recent of them. The Nona-K is still offered to export by Rosoboron Export. The mortars of 82mm successors of the old 2B9 Vasilek (over 600Kg) are of man-portable size since the 1980s. The 2B14 Podnos is of 42 Kg, and the modern 2B24 and 2B25 have 45Kg and 13Kg of weight. This is the artillery of man-portable size I was talking about. It is succeeding in the Russian Armed Forces like the self propelled artillery. In the other side, in recent years the development of heavier towed artillery seems to have the purpose of developing guns for new self propelled artillery models and/or for export, since there is not a single model since the 80s succeeding with significant number or orders for the Russian Armed Forces. The 2B23 (over 400Kg) maybe the best known case and even has not English Wikipedia or warfare.be articles. Mortars are rarely considered as an artillery, but ultra light infantry support weapon. In Serbian army if you call mortar in front of an officer as "an artillery piece" you will probably do 100 pushups. Mortars are mortars, artillery is an artillery. Also Vasilek is class of its own, its automatic mortar and it simply cant be replaced with something like 2B14, USSR operated 82mm mortars long before Vasilek came into service and still it found its place. Nona variations and variants are not replacement for Vasilek either, unless it gets phased out completely as idea of automatic mortar, but i am not sure about that still. Problem with self propelled artillery is that its useless in so many regions, it simply cant go to all the places it might be required. When D30 variants go to storages Russia is out of real light artillery. Nona-K for an example imo could replace D30, but what will fill the gap between Nona and MSTA/Coalition? Towed or even self mobile light howtizer in 152mm is equired, something like SLWH Pegasus for an example, abit weighty but still alot less than MSTA-B and helicopter transportable. Technologically a mortar is artillery and always will be. It is possible to make alternative classifications by function or by other criteria that are compatible with the technological classifications, Serbian oddities appart. I was talking about 2B14, 2B24 and 2B25 as successors of the 2B9 in terms of damage done by mortars of the same caliber. Today the concept of fight of the 2B9 Vasilek remains in mortars of bigger caliber, of 120mm. I'm not sure if the 2B9 Vasilek remains active as towed gun in Russia. I know these mortars have been mounted on MT-LBs making them self propelled (an obvious step when a country can use MT-LBs as tractors for the 2B9). I do not agree about the troubles of movility that you see in the self propelled guns over the towed guns. With the D-30 being the towed version of the 2S1, the natural replacement for the D-30 would be the 2S34 (the upgrade of the 2S1). You can't airlift SP artillery. And there are other considerations as discussed earlier in the thread. Towed artillery will continue to, at the least, in a niche of its own. With the D-30 being the towed version of the 2S1, the natural replacement for the D-30 would be the 2S (the upgrade of the 2S1). Actually by the book mortars of caliber less than 120mm are classified as "Infantry mortars" and are NEVER being refered to as an artillery piece. Mortars of 120, 140, 160, 240 and other calibers are often classified as an artillery pieces due to fact they are either placed on wheeled platforms or have carriages. But as long as they are "infantry mobile" they are not artillery pieces. While self propelled mortar 120mm i would call an artillery piece i would never call 60mm mortar that i can carry in one hand as such. By your logic 30mm automatic grenade launcher is also an artillery piece... however its not, its infantry weapon. When its about Vasilek yes, its still used as towed piece in VDV and Ukrainians use it also that way alot. Still you cant replace automatic 81mm mortar with random 120mm mortar, does not make much sense at all unless again as i said you are abandoning automatic mortar as idea totally. How and why would towed D30 be replaced with modernised already existing Gvozdikas with replaced main weapon? Maybe partially but that is not going to happen in my opinion, 2S34 Chosta is reported to have quite an issues. D30s might partially get replaced by something in class of Nona-K and then maybe they will "borrow" tracked 120mm long self propelled mortar from VDV but still neither of those are real and good 1on1 replacements. Light towed artillery has to exist no matter what you imagine. Self propelled howtizers have many advantages but also many disadvantages over good old towed pieces. flamming_python wrote: You can't airlift SP artillery. And there are other considerations as discussed earlier in the thread. The Russian Airborne Troops have SP artillery of various types (2S9, 2S23 and 2S25). Russia has not a trouble with the aerial transport of self propelled artillery. I do not think this is a trouble for Russia, and less when new SP artillery models can be developed to replace the current artillery of the Airborne Troops using the new chasis of the BMD-4M. That's a good point, but applies only for VDV. Mountain units and others won't have airlift-able artillery. Perhaps this is not a critical shortcoming, dunno. Americans in Afganistan praised 105mm M118 light howtizers even over already "feather" class M777 for an example coz they are so light they can be even parachuted without boosters, airlifted by even fairly light helicopters, pushed by 2 men only for short distances, no need for recoil pit, extremly fast change of targets, very high rate of fire coz loaders work with light shells and ability to be towed around even by lightest vehicles. Mobility, Mobility and Mobility especially needed in VDV and mountain units. There are simply wast forests and mountains where nothing except bird can land. You have examples also like GIAT LG1, G7, M56... all 105mm howtizers mainly used by units that require artillery support but also need extremly high mobility. Personally I'm not friend of classifications based on calibers because they give many troubles in a longer timeline. As example if you try to apply your classification to WWII guns, you have a trouble because today's calibers are different. To be man-portable is the characteristic that can make us able to talk about "infantry mortars", but even in this case, infantry mortars are technologically mortars, and are technologically artillery. Our gun classifications need to be stable with the time, need to be valid for guns of different centuries. This is why I prefer and I use classifications based on technologies. I expect a success of the 2S34 because I expect the new gun to be well selected. It is the key of this project. But if the 2S34 is not successful, new SP artillery models will come surely using both the chasis of the 2S1 and the new chasis of the BMD-4M. The question is that Russia can replace all the active D-30s in the short term using its self propelled twin, the 2S1 since Russia has enough of them in the reserve. With most infantry units having a BMP-3 with them not having a towed artillery piece for fire support is likely not so much of a problem as they already have quite a bit of indirect He fire power out to 7km range already. The question is that Russia can replace all the active D-30s in the short term using its self propelled twin, the 2S1 since Russia has enough of them in the reserve. I would expect they will make a towed model of Coalition too. It would be interesting to know what pieces are replacing the 2S4 and 2S7 returned to the service. I tend to think that are towed pieces. From what i could figure out from articles i saw those are not replacing anything but it seems they are newly formed batteries attached to already existing units. Like a special reserve for tough targets that need an extra punch. I would suspect they would also be more useful in some roles like mountains and urban where the near vertical descent of the rounds would make them rather more useful for getting between buildings or cliffs.